These are the Group Championship classifications for this weekend. These were released by the NJSIAA and are based on the entry numbers that came in to keep the meets balanced. 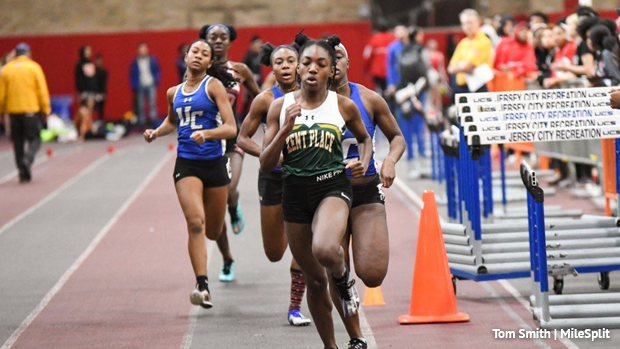 Do not go by the entries released on the meet page to see which teams are in your Group go by this list. 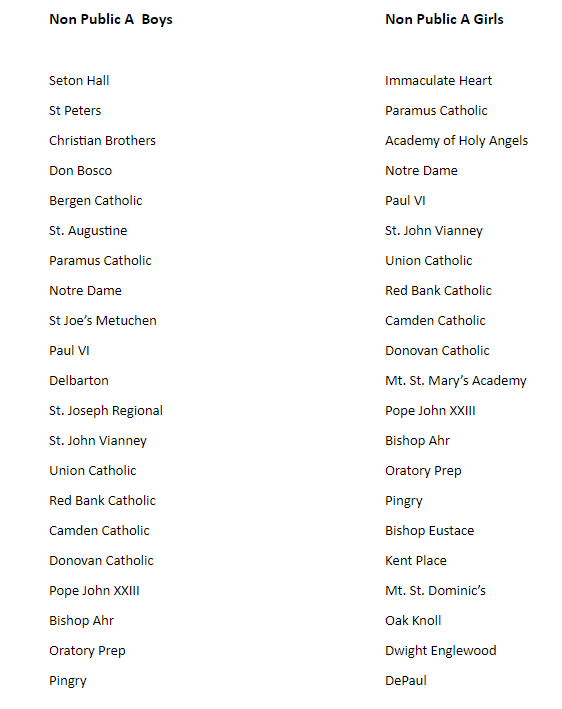 Non Public Entries, Note some schools have been switched since these entries. 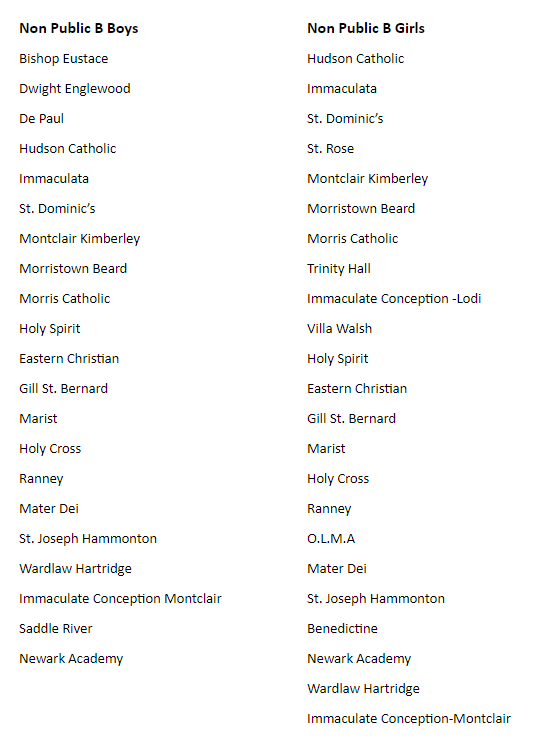 These are released by the NJSIAA and based on the entries that came in.